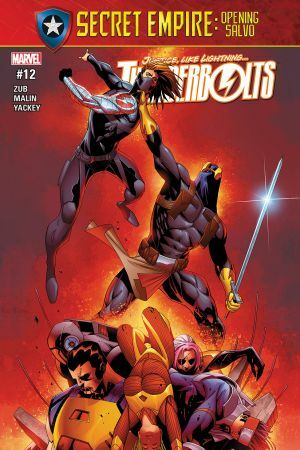 Once upon a time the Thunderbolts were the Masters of Evil…and if Baron Zemo has his way, their legacy will be reclaimed…with the infinite power of a Cosmic Cube! 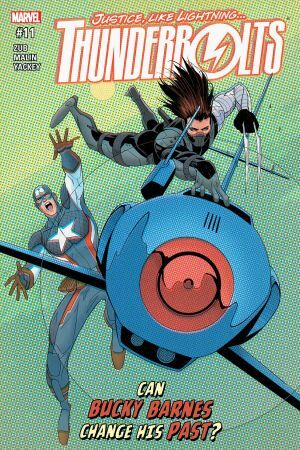 Captain America’s plan for Bucky and Kobik begins to unfold. 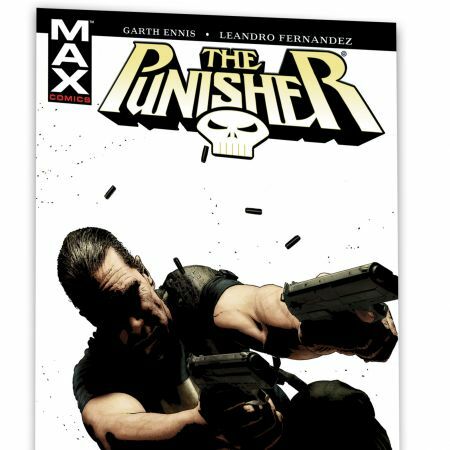 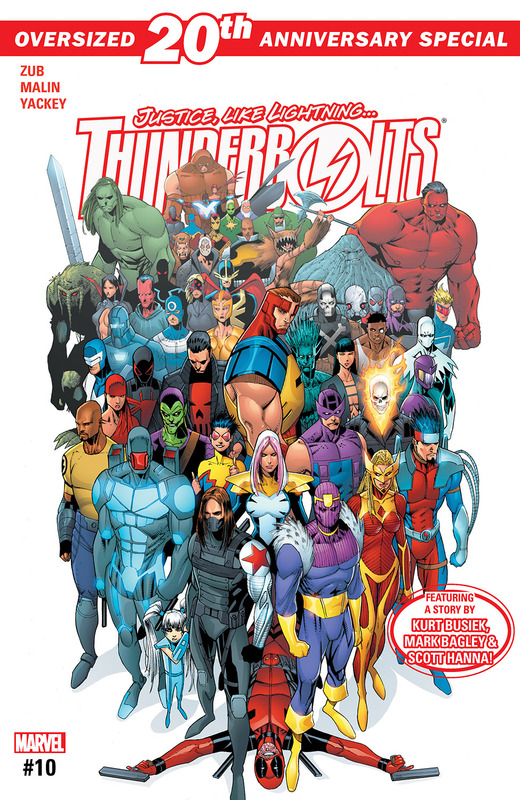 “Return of the Masters,” the Thunderbolts 20th anniversary event, begins here! 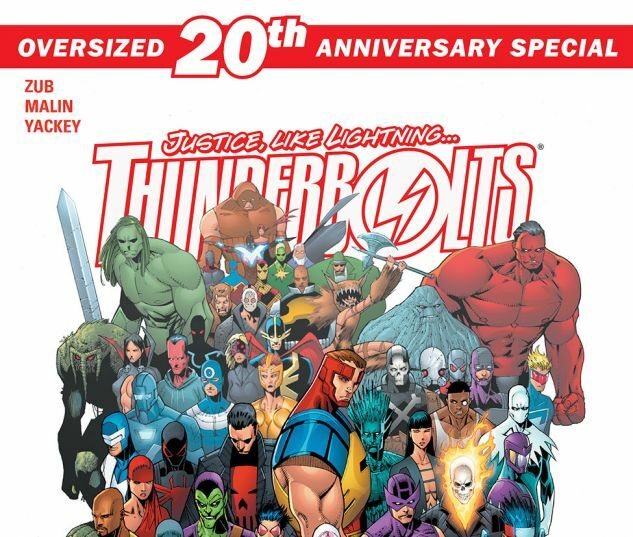 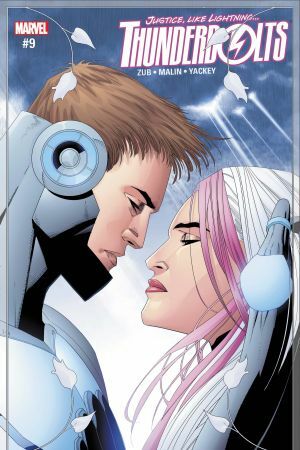 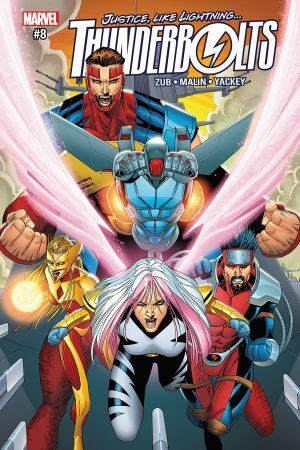 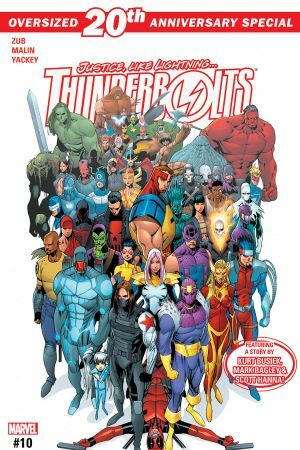 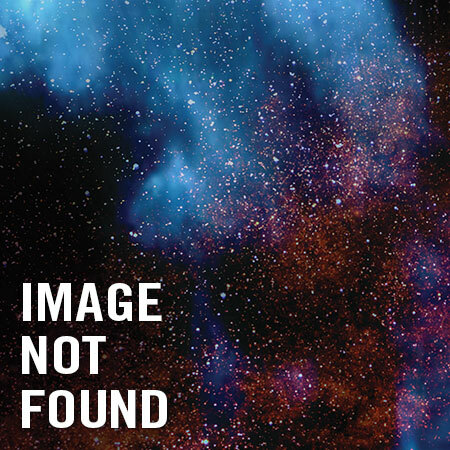 Along with our pulse-pounding lead story, this special oversized issue includes a brand-new Thunderbolts tale by series co-creators Kurt Busiek and Mark Bagley!